A group of venture capitalists, energy innovators, blockchain wizards and communications staff cluster in a converted warehouse in Brooklyn. They sip microbrewed beer and homemade “megawatt” mojitos as they chat about how blockchain can transform the future of green energy. They’re here as friends of LO3 Energy, an energy startup intent on revolutionizing electricity markets in the US, Europe and Australia. Their vision is to pioneer energy economies powered largely by solar but managed by blockchain. Here in Brooklyn, those efforts are located just a few miles away, in a patchwork of solar panels across the rooftops of homes and small businesses in the affluent Park Slope neighborhood. The Brooklyn Microgrid project, explained Rahim Davis, who works on commercial and nonprofit engagement for LO3 Energy, is a “proof of concept” that a blockchain-powered electricity market is already on the way. Two years ago the U.S.’s first-knownpeer-to-peer energy sale took place in Brooklyn. With the help of LO3’s technology, Eric Fruman, a union organizer and Brooklyn resident, sold the credit from his solar panels’ excess energy to his neighbor over PayPal. The transaction was recorded on the blockchain. L03 Energy installs computer-controlled energy measurement systems in homes, thereby allowing people to create, buy and sell energy credits to each other. The sales are then put on a blockchain, a distributed, transparent and immutable ledger that is most well-known for recording Bitcoin transactions. "By using blockchain technology – something originally created to run the bitcoin currency – TransActiveGrid makes it possible to count up and log every unit of energy created by one of these home systems." the company's press release said. Those units of energy can then be bought and sold as credits among anyone connected to the platform, whether or not they’re producing solar energy themselves. The solar panels along the rooftops in Park Slope belong to a few of the local residents and small businesses. As consumers of energy and small-scale producers of it as well, they’re called producer-consumers, or “prosumers.” The decreasing cost of US residential power, as demonstrated in the accompanying chart, helps people become prosumers. Traditionally, people who generate some of their own electricity can earn some money back through energy credits they get at a wholesale rate from their local utility. People who want to buy clean energy can purchase green energy credits, but the companies may not even operate in the area. One of the goals of the Brooklyn Microgrid is to keep that clean energy local. Through LO3’s platform, if solar panel owners generate more energy than they actually use, they can sell some of the excess energy credits to their neighbors. One of blockchain's main selling points is that it cuts out the middleman, allowing people to transact directly with one another. In an energy system that more closely resembles a peer-to-peer market, those energy credits can be bought and sold within the community instead of going back to the utility company or to a distant green-energy provider. “We want to give people a choice about how to integrate clean energy,” explained Davis. Instead of a market controlled by a single entity (usually the utility company), blockchain could help enable a market in which individual consumers participate, buying and selling energy directly to each other or back into a larger pool. This “distribution-level market” is “a market that doesn’t exist now,” said Colleen Metelitsa, an analyst for Grid Edge, a research initiative of GreenTechMedia. “I think people see blockchain as this opportunity to create a network or to create a sharing data layer,” she said. In electric markets in the U.S. and many other countries utility companies, sometimes in partnership with a separate distribution company, are responsible for continuously supplying homes and businesses with the appropriate amount of power. However, the appropriate amount of power varies considerably throughout the day: demand is usually high in the evenings, when everyone needs the lights on, and lower in the mornings, when natural light does much of the work. But consumers generally pay a flat or seasonal price for the energy they use: the rate for electricity is the same whether it’s used in times of high or low demand. Supported by blockchain, a number of companies are moving toward a more transparent pricing system. Many of blockchain's strengths--its low-cost, confirmed transactions; its data privacy; its coordination of large number of individual entities--make it a strong candidate for the coordinating power behind these energy initiatives, Henly explained. "This is very futuristic….we’re talking a full remake of the electricity grid,” she said. In some sense, these projects are rather futuristic. Brooklyn Microgrid and most of the projects like it are pilots, and many face significant technical and regulatory hurdles. But in another sense, they’re the product of dynamics that are very much in progress today. Brooklyn Microgrid’s three buzzy technologies, solar power, microgrids and blockchain, are each experiencing a spate of global growth. And as the barriers to entry lower and each technology moves closer to the mainstream, a number of other companies are leveraging combinations of these technologies in hopes of transforming the way electricity is created, how it’s priced, and who can access it. Solar power, for example, has never been cheaper: in the US, residential photovoltaic systems dropped from over $7 per watt in 2010 to just $2.80 in 2017, according to the National Renewable Energy Laboratory. Microgrids, too, are blossoming across the globe, from North America to Asia Pacific to Africa. As catastrophic weather events increasingly disrupt large swaths of the electric grid for long periods of time, communities across the U.S. are seeking resilient backups to their main energy supply. And blockchain itself has been enjoying a higher profile since Bitcoin prices soared in 2017. “I think the bitcoin/blockchain hype cycle at the end of 2017 was helpful for the industry, just because people in higher up levels are like, ‘oh I heard about this thing, how does it relate to what we’re doing?’” said Metelitsa. Brooklyn Microgrid is far from the only initiative in the space. Nonprofits, startups, and traditional utility companies alike are experimenting with the possibilities that blockchain has to offer. Global nonprofit Energy Web Foundation, for example, is piloting a blockchain specifically designed to undergird applications that deal with energy transactions. “We’re ‘the app store’” for blockchain energy projects, Henlyexplained at Duke’s Energy Conference. Grid+, on the other hand, is an energy startup that uses the existing grid and existing blockchains (specifically, the Ethereum blockchain), but its application buys and sells energy based on real-time price changes. It also sells back any user-generated solar power into the main grid. LO3 itself is expanding into other markets, from southern Australia to Cornwall to Germany, and a number of European utilities have announced a project based on blockchain that will facilitate peer-to-peer energy trading. 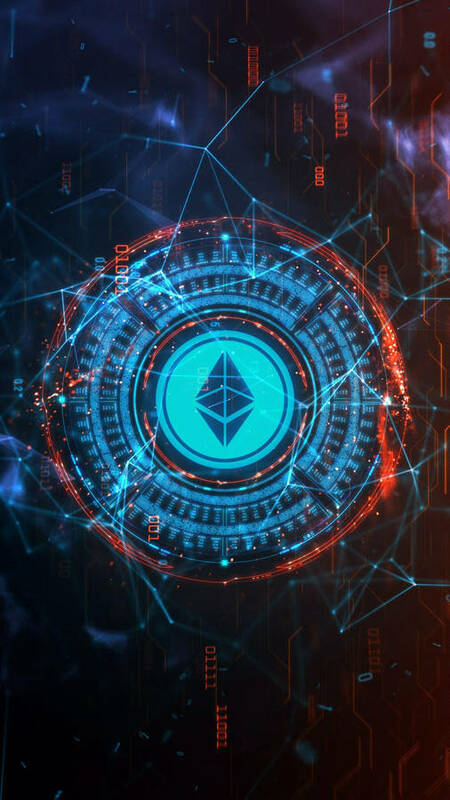 Even the government of Chile, as part of an initiative called “Energia Abierta,” or “Open Energy,” announced in April that it will use Ethereum’s blockchain to collect energy industry data. “The National Energy Commission will begin to use blockchain technology, with the aim of increasing levels of security, integrity, traceability and confidence in the public information available,” according to the commission’s press release. But the lofty ideas are, in many cases, finding a slow path to fruition. Almost all the projects are still in the pilot stage, and many are still tinkering with their technology and grappling with regulatory constraints. “What everyone at the end of the day is looking for is an example of when a pilot shows up, blockchain worked, saved money and is scalable,” she said. Henly, too, pointed out that blockchain’s speed and capacity present barriers. “In the core technology, several advancements need to be made, especially in scalability, for [blockchain] to support transactions in the energy sector,” she said. But even if the technical kinks are resolved, regulations remain a key hurdle. Brooklyn’s Microgrid envisions neighbors selling energy among themselves, but even in New York State, where a number of initiatives are underway to open up the energy industry to innovation, it’s still illegal for individuals to sell actual electricity. This is why Brooklyn Microgriders trade energy credits, or tokens. In many other states in the US, energy companies have a legalized monopoly, barring the path for intruders vying for a piece of market share. A number of utility companies and legislatures are looking into blockchain’s potential, and many observers such as Metelitsa and the LO3 team are cautiously optimistic about the long-term alignment of regulation with innovation. For now though, many such projects will remain small-scale trials. “I would say that we’re in the pilot phase for the foreseeable future,” said Metelitsa. Back in the LO3’s warehouse offices, participants in Brooklyn Microgrid seem positive about the project’s mission. One participant calls back over his shoulder as he heads out the door. Elise Hansen is a Brooklyn-based writer.